Summer is quickly becoming one of my favorite times of year because of all of the fresh fruit that we can go and pick ourselves. In case you didn’t know, I am a fruit-aholic. I have a major sweet tooth and generally fruit fits into the sweets category too. If I could live on just fruit I probably would. From watermelon to pineapple I like almost everything. Fresh-picked fruits are my favorite though. The freshness just makes them a million times better. We are pretty lucky here in Maryland that we have 3 different orchards within 30 minutes of our house. It makes it nice because we can go and pick just about anything we want all summer long. Last year was really our first time picking fresh fruits. With school and internships we were just too busy during previous summers. 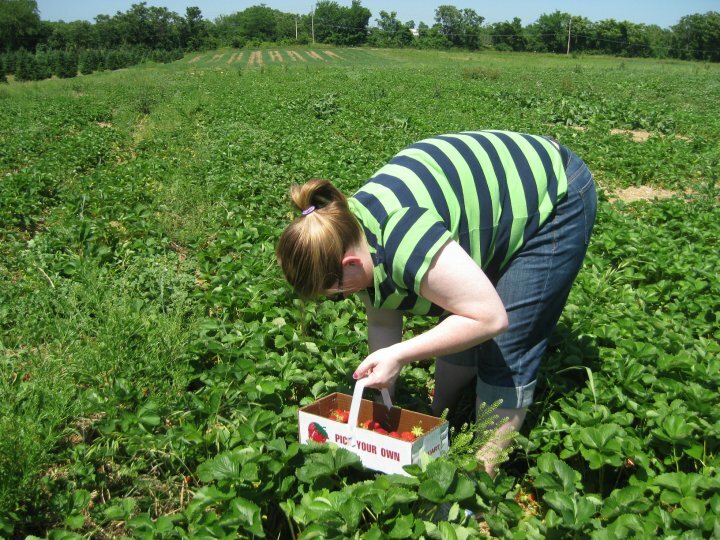 We were excited last year to find a strawberry field less than 10 minutes from our apartment. We picked close to 20 lbs of strawberries last summer and froze a bunch of them. Unfortunately we missed strawberry season this year. It was just too hot for us plus the strawberries we could get at the grocery store were actually really good. Since we didn’t get to pick blueberries last summer I knew we would not miss them this year. This was actually my first time ever picking them. When I was a kid my family went to pick apples every fall and sometimes peaches. Last year Karl and I picked strawberries, blackberries, and peaches. 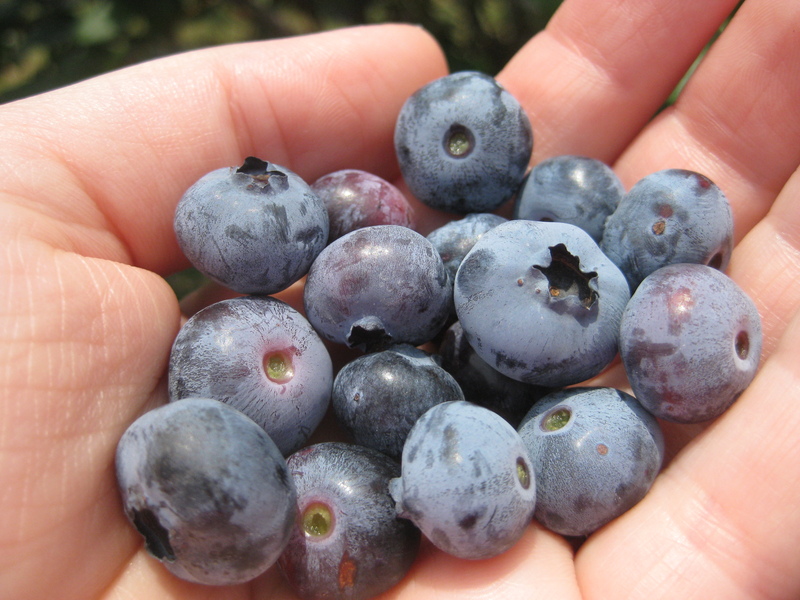 This year I want to do them all – blueberries, raspberries, blackberries, peaches, plums, and apples. And probably some tomatoes too. 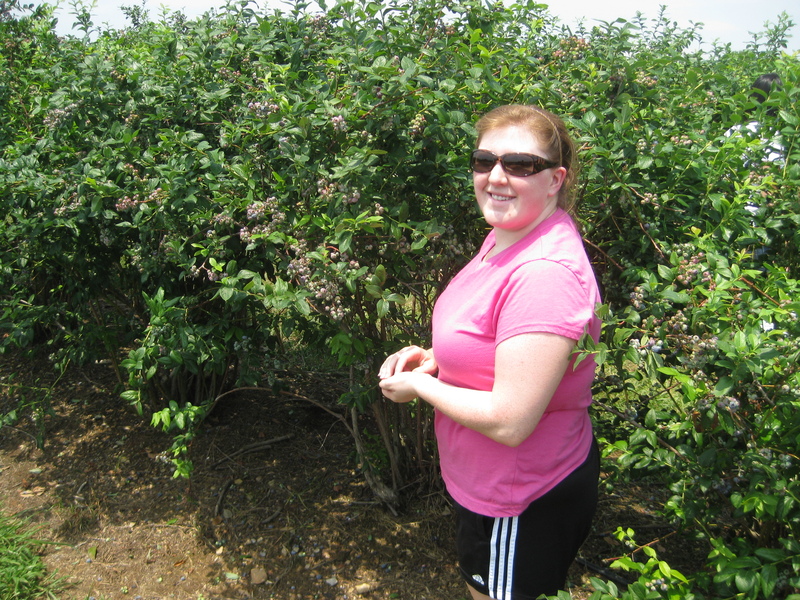 I was pleasantly surprised that the blueberry plants were almost as tall as me! I was expecting it to be like picking strawberries where you spend the whole afternoon bent over and your lower back hurts for the next two days. I think we are right at the beginning of blueberry season out here and there were still tons of green berries out there. We still picked 1.5 pounds and only spent $3.65 (a lot better than $3 a pint! 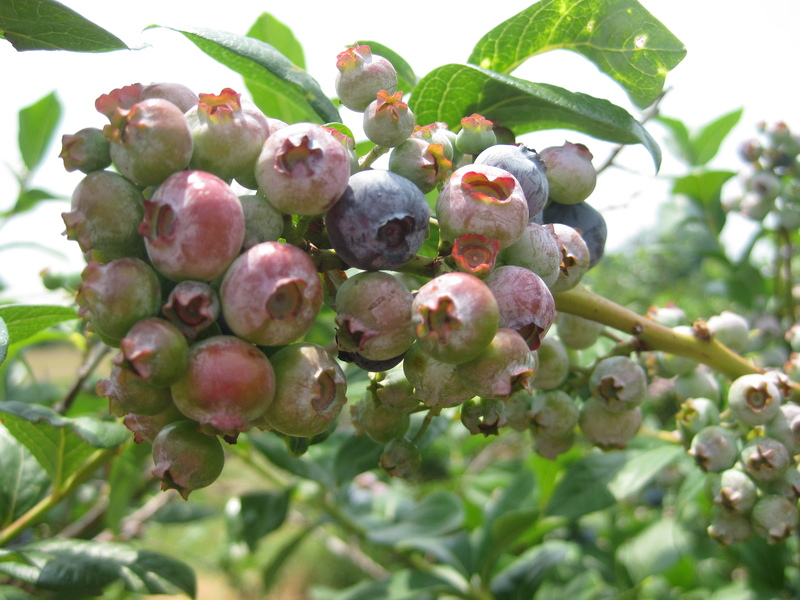 ), and we’ll probably go back to get more blueberries and some raspberries next weekend. Now I just have to figure out what to make with these beauties… I know for sure a blueberry banana bread with my favorite struesel topping will be made tomorrow to take to work on Tuesday. Some of my co-workers have been asking about banana bread, and I aim to please. I think a blueberry buckle might be in the future for Karl and me. Just have to get the recipe from my mom. 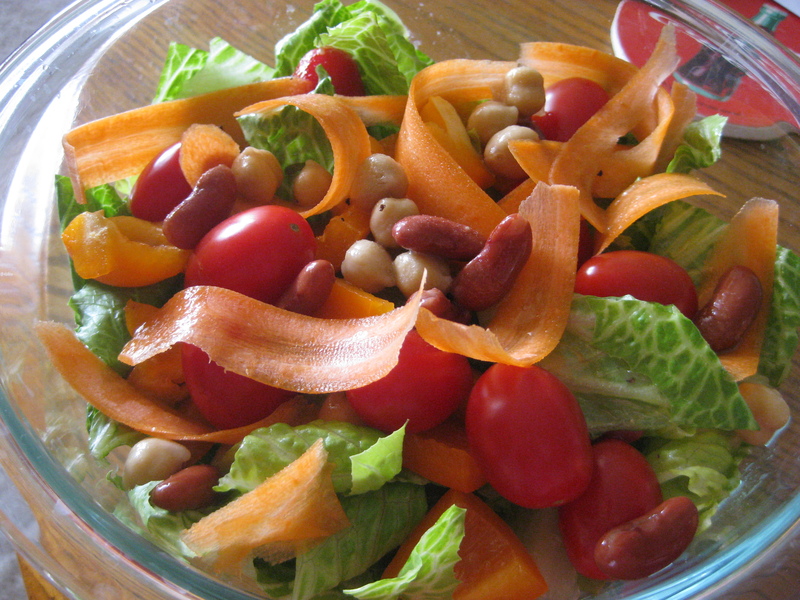 But before I get to work on that I’m going to help myself to this delicious salad I just made. Hope you are enjoying your three day weekend! Do you and your family have any orchard traditions?